← …PUT ME IN COACH! “HAVE WE GOT A VIDEO”? Just a quick post today and a nice last bit o’ runner’s swag from the REVEL Big Cottonwood Half Marathon. For each REVEL race, you can add photos (with captions) from your individual run into a video montage highlighting the entire event. The gang at REVEL puts it all together and sends it off to you to share with family and friends. So I chose a quartet of images that best showed off my race face from amongst the whole batch of race photos. As you know, not every race photo is a winner. And this weekend the video went up, showing off Big Cottonwood’s beautiful course and the spectacle surrounding the 5th running of the this great race. Now if you look closely at the 1:55 mark of the video, you’ll get to see me clomp across the finish line. Enjoy… and Run on! 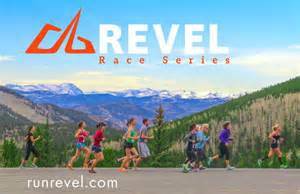 Posted on October 10, 2016, in General and tagged Race Photos, Race Video, Revel Big Cottonwood. Bookmark the permalink. Comments Off on “HAVE WE GOT A VIDEO”?.